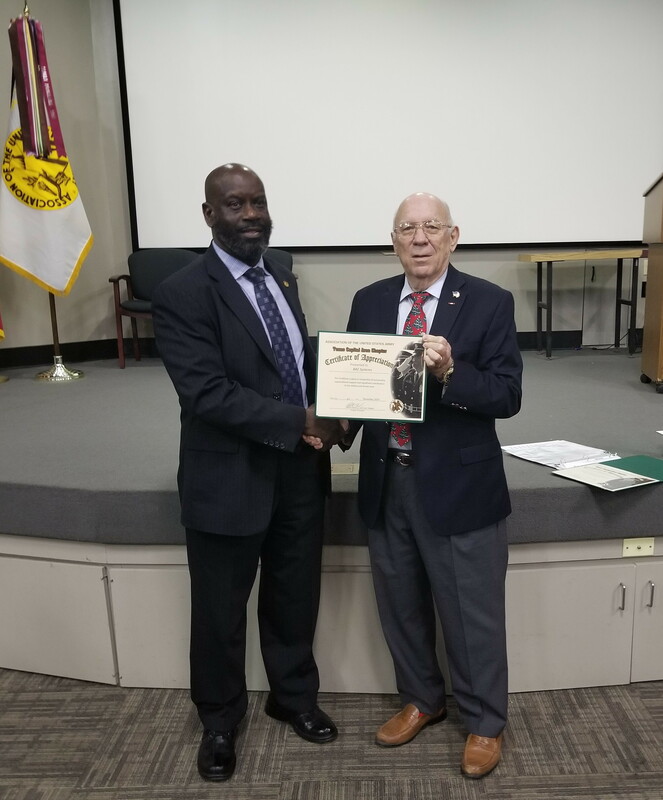 On Wednesday, 5 December 2018 the Association of the United States Army, Texas Capital Area Chapter hosted its general membership meeting at Camp Mabry, Austin, Texas. It was a pleasure for our chapter to recognize our Community Partners. Our newest Community Partners are as follows: BAE Systems, University of Texas at Austin (Center of Professional Education), Valkyrie Intelligence, and Government Marketing and Procurement LLC.is Northrop Grumman Mission Systems. 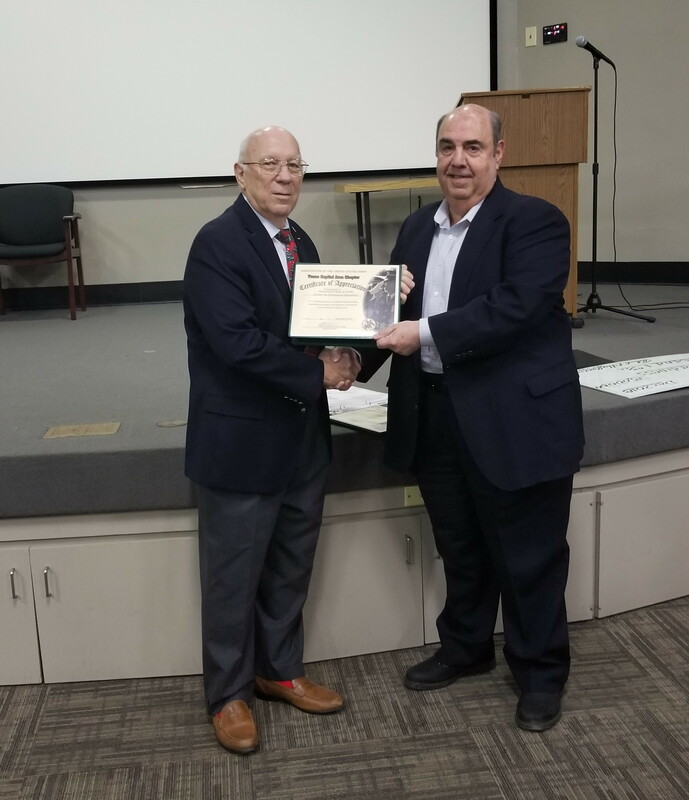 Chapter President MG (Ret) Halverson made presentations of a certificate and Texas Capital Area Chapter coin to Mr. Anthony Williams from BAE Systems, and Mr. David Berlad represented University of Texas at Austin (Center of Professional Education). We look forward to an outstanding relationship with these exceptional organizations.